SELLERS NEED HELP ! ( click here)! (!click here!) FOR NEW MARKET HOMES ALERTS! ﻿ ﻿ACCESS COMMUNITY REALTY INC.
Access Community Realty Inc. sales homes in Atlanta, Georgia and The Metro Area. Access Community Realty Inc. is a full service real estate brokerage that pride ourselves in being an asset to the communities in which we provide residential and commercial real estate services. We are the best in customer service. 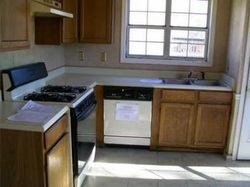 We help homeowners find licensed quality and experienced contractors to help with home repairs. We listen to our customers when meeting their needs of our customers ranging from state-of-the-art marketing techniques and strategies, training, development, investment, management, and home improvement ventures. We seek to partnership our expertise and services with communities, businesses, and individuals. We are #1 in Real Estate Industry, expertise, and customer/client relationship building in the communities we serve. We believe in marketing with the highest level of technological devices. As consultants we operate within integrity, customer service, and being available . We believe everyone should have access to the the American Dream of Home Ownership through community development and capacity building. We provide services to buyers, sellers, and investors property services and management for foreclosure, short sale, reo, bank-owned, and HUD homes whether residential or commercial in the Atlanta Metro area; includes Fulton, DeKalb, Cobb, Henry, Douglas, Barrow, Clayton, Newton, and other counties in Georgia. If you have questions please contact us, we would be happy to direct you in the right path. For information contact us at (678)691-4344. 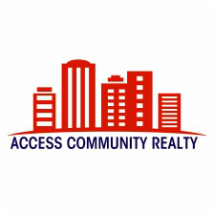 Access Community Realty Inc. provides seller assistance in selling their home and other real estate properties. We love sellers! For sellers, our agents have a variety of service packages. We sell residential new homes, luxury homes, commercial properties, investment properties, and land. Lease purchase (also known as rent-to-own) is an agreement to keep open, for a set period an offer to sell ( lease purchase) (rent-to own) or lease real property. The lease purchase agreement creates an agreement with an option to purchase or contractual right, only when as agreed upon by both parties the buyer gives notice to the seller of his notice to purchase, therefore activating the lease purchase. An option contract is defined as "a promise which meets the requirements for the formation of a contract and limits the promisor's power to revoke an offer. "Or, quite simply, an option contract is a type of contract that protects the individual making the offer (the offeree) from a seller's (the offeror) ability to revoke the contract. Do you need assistance with preparing the contract and executing the process of the lease-purchase? Click the below link for seller resources. In March 2009, the Obama Administration published detailed program guidelines for the Making Home Affordable (MHA) Program. Mortgage servicers were authorized to begin modifications under the plan immediately. With the assistance of several government agencies, GSEs, and servicers - this effort involved the development and refinement of servicer guidelines, modification documents, and data collection and modeling tools. Home Affordable Modification Program - designed to enable borrowers that meet eligibility requirements to avoid foreclosure by modifying loans to a level that is affordable for borrowers and sustainable for the long-term. Home Affordable Unemployment Program - provides servicers with the flexibility to provide assistance to borrowers whose hardship is related to unemployment and is a supplemental program to the Home Affordable Modification Program (HAMP). Specifically, UP requires servicers to grant qualified unemployed borrowers a forbearance period during which a borrower's monthly mortgage payment may be reduced or suspended prior to considering such borrowers for HAMP. All these options can be difficult to process through, contact Access Community Realty to assist with loan modification or other alternatives to Foreclosure Access Community Realty (678) 691-4344. The option for a short sale provides a way for troubled homeowners to prevent foreclosure and many of the dire penalties involved. A short sale is an agreement in which your mortgage lender agrees to accept a payoff on the loan for less than the balance. Many lenders agree to a short sale because they receive more of the loan balance in comparison to the amount they would gain from selling the property following a foreclosure. This process also aids in maintaining home values in the community the property is located and helps the homeowner maintain a better level of credit compared to a foreclosure. In most instances, homeowners considering a short sale must meet specific criteria to qualify: you must be behind in your mortgage payments, and provide evidence of economic hardship. Most real estate transactions involve the home seller and their real estate agent, the buyer and their lender, and their real estate agent. In a short sale situation, all of those parties in addition to the seller's loan servicer, a housing counselor, any junior lien holders, mortgage investors, and insurers may be involved too. A Loan Modification is a permanent change in one or more of the terms of a Borrower's loan, allows the loan to be reinstated, and results in a payment the Borrower can afford. If you are having a tough time making your mortgage payments, you may be eligible for MHA's Home Affordable Modification Program (HAMP®). HAMP is designed to provide deep and meaningful savings for homeowners devastated by unaffordable increases in expenses or reductions in income. WE OFFER THE FOLLOWING FREE ESTIMATES TO OUR CUSTOMERS. We have a standard of workmanship each contractor is required to adhere to upon acceptance of your work order. We are with the property owner from start to finish, ensuring excellent services. Each customer is provided with list of contractors website's, contact information, and references upon selection. We offer classes that promote community development, home ownership, and educate homeowner's about new financing, foreclosure prevention, short sale process, credit repair and other topics that would promote and stabilize our community. Click below for more class, seminar, and training information. We love buyers. They one of the driving force of our business. We love to offer our complete services to our customers. For buyers, we have agents that are competent in real estate transactions and a broker that oversees with experience. We assist buyer in purchasing HUD homes, foreclosures, short sale, for sale by owners, relocation, and any home available for purchase. Click below for more buyer resources information. Access Community Realty will performed other REO services based on the service contract and property needs for minimum market time and maximum profits. Contact us today, for additional information as to how we can partner together to meet your needs ! ﻿Access Community Property Management Services is ready, willing and able to act to the benefit of the property owner (my client) to resolve any issues without the client having to guide their actions, or in one case, demand specific actions be taken unless otherwise contractually advised. Our property management services is based on rent collected. Our property management services is based upon what our clients and tenants want, need, and retention of management relationships. Our Access Community Property Management services provided reports monthly with the submission of reports of your investment. We believe enable your managers and leasing agents to give great customer service and go the extra mile for your residents by having sufficient maintenance and office staff in order to be able to make repairs quickly. The resident experience as it relates to maintenance requests and customer service is such an important factor in resident retention. In the long run, keeping residents happy saves you lots of money. 2. Ensure is price at a competitive market rent rate.